EVA Air is an airline that is not that well-known among European or American frequent fliers; despite its excellent reputation, only a few of my contacts have actually flown with the Taiwanese airline already. 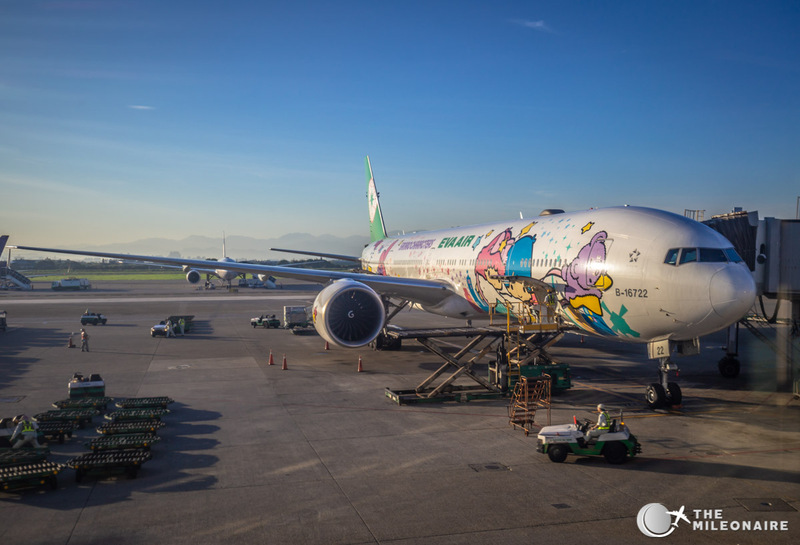 This is a bit weird though, as EVA Air has been ranked among the best airlines in the world for a couple of years now. 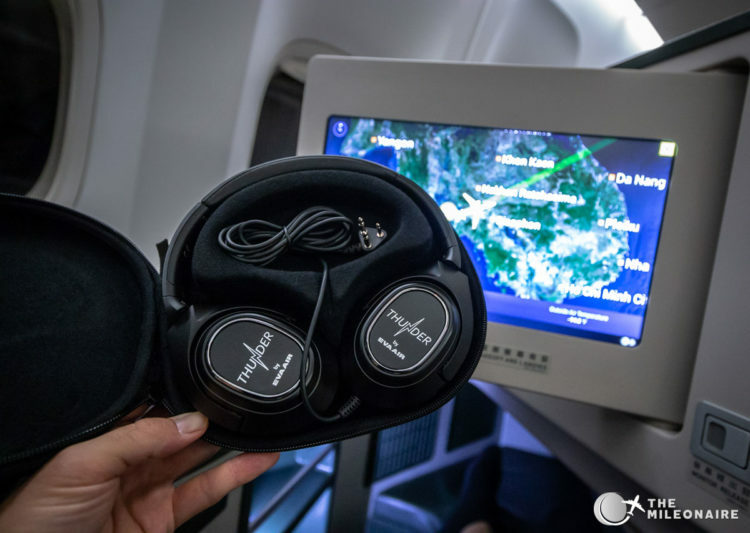 This September I was finally able to try out the EVA Air Royal Laurel Class, the best product they offer at the moment. 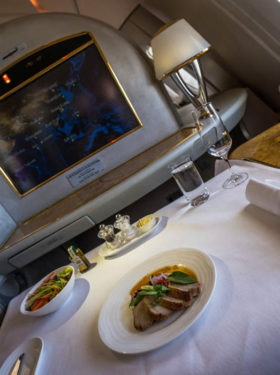 As there is no EVA Air First Class at the moment, the Royal Laurel Class is said to be among the best business classes in Asia. Is it worth the hype? Or is it overhyped? Let’s find out on my flight with this beautiful special livery! 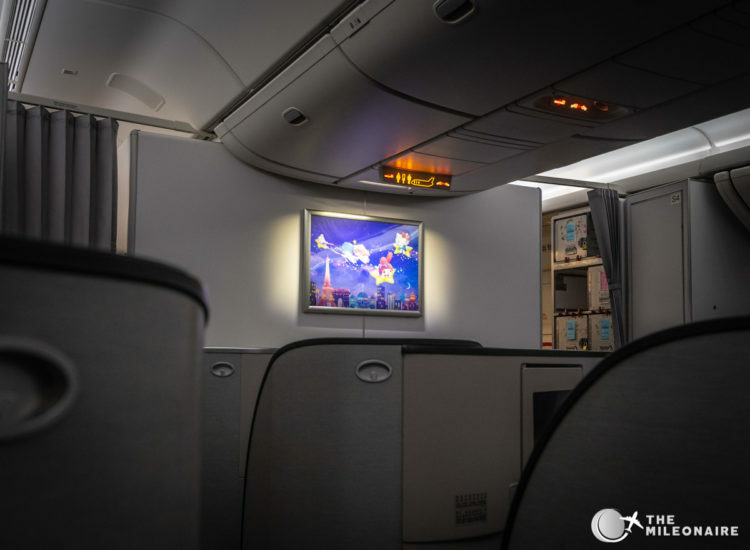 The Royal Laurel Class can only be found in EVA Air’s Boeing 777 planes at the moment; the other widebody plane (Airbus A330) ‘only’ offers the Premium Laurel Class. 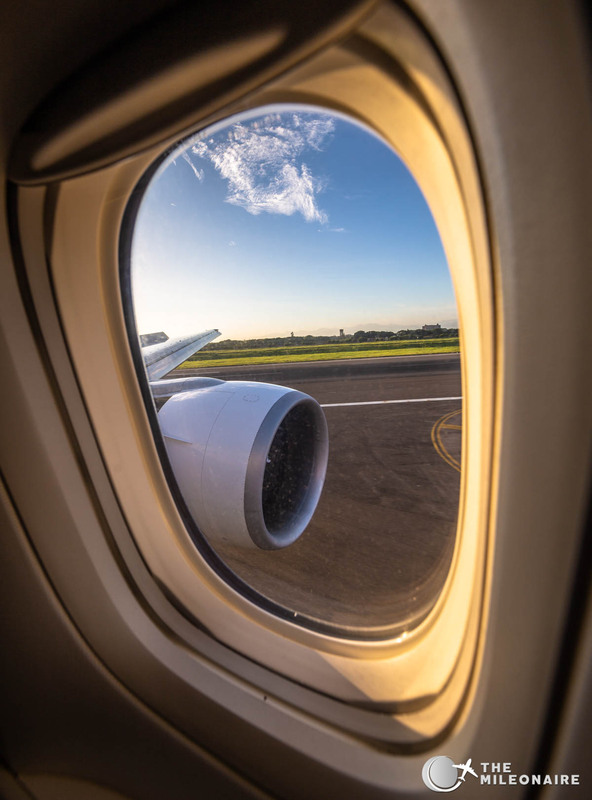 As there’s a big difference between these two, you should definitely check which plane operates your flight before booking. My route today (Bangkok – Taipei) is always flown with a beautiful Triple Seven, so no need to worry there. When boarding the cabin I was a bit surprised though: did I accidentally board a Cathay Pacific plane? 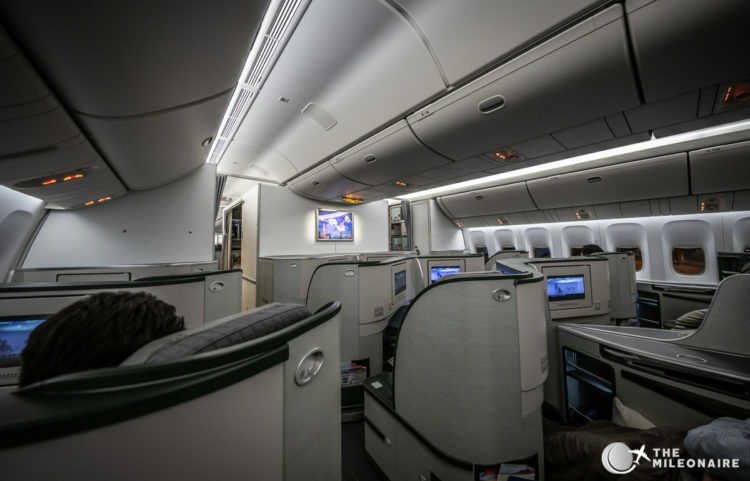 The business class cabin looks almost exactly like the Cathay heringbone setup, including the same 1-2-1 seat configuration and color palette used. 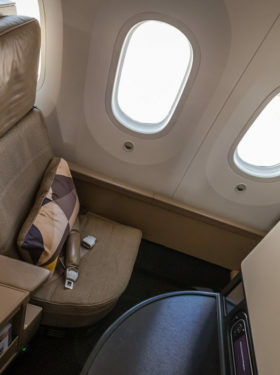 Due to the excellent 1-2-1 configuration every Royal Laurel Class seat has direct aisle access – so you won’t have to climb over someone’s legs to go to the bathroom. 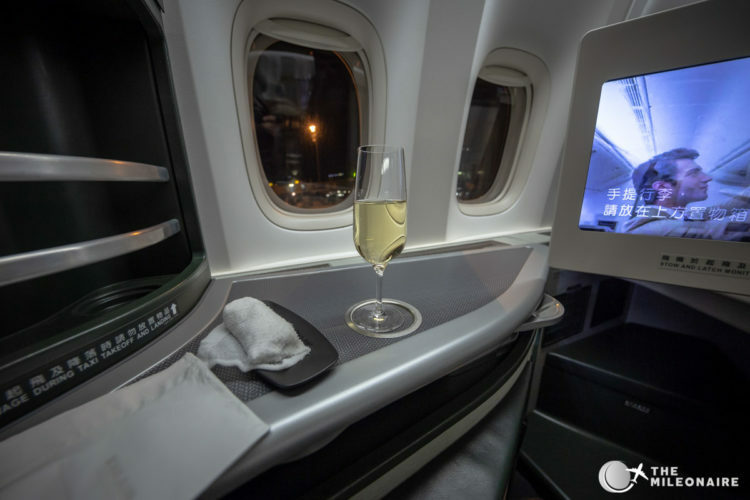 The similarities to Cathay Pacific continue here, as the seat is nearly exactly the same model. 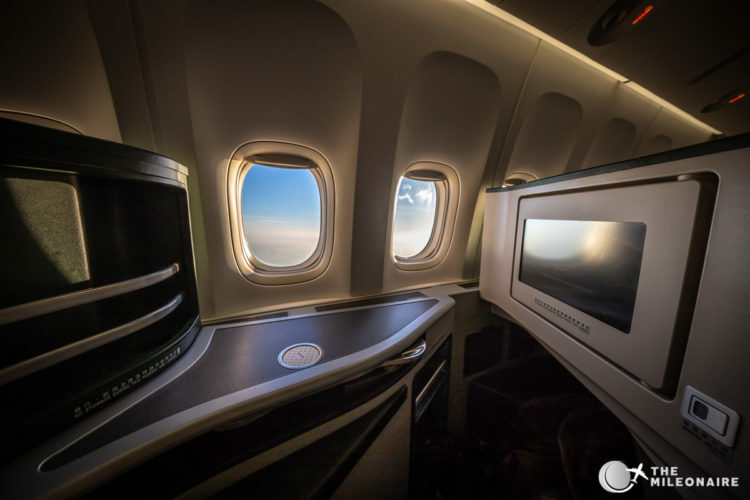 With the reverse heringbone configuration, the window seats point towards the windows – which is awesome in terms of view and privacy. Below the relatively large screen is an ottoman for your legs, which is pretty useful in all seat positions to relax. 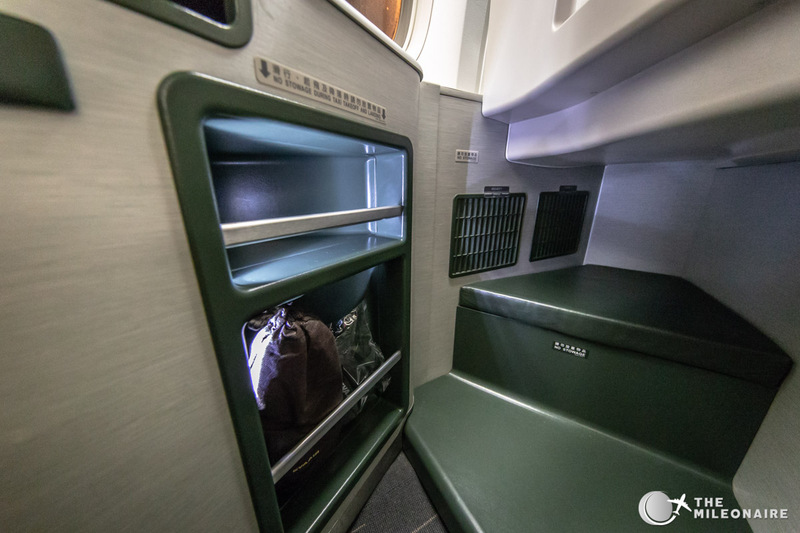 On the left are two additional storage spaces where you can put your pyjama or slippers for the cabin. 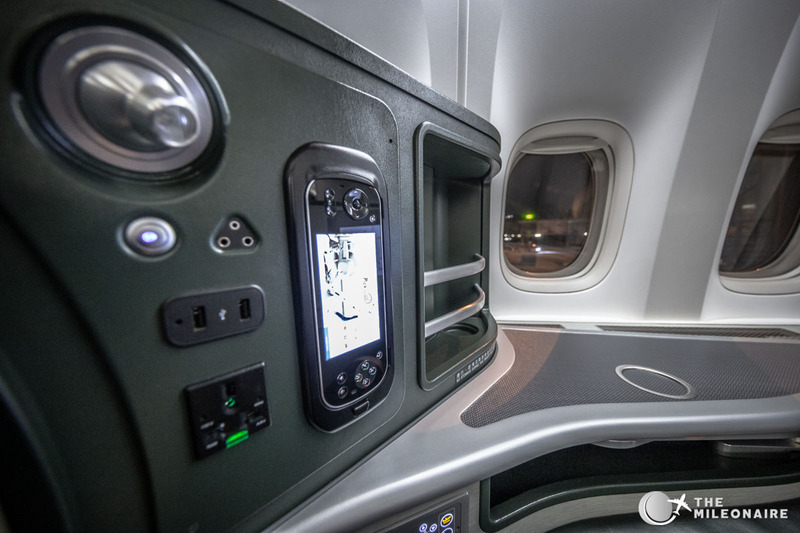 Besides your headrest is a panel with all kinds of useful amenities for a long flight: a small handheld to control the inflight entertainment system, a reading light and multiple plug sockets (USB & normal ones) to charge your devices. Below that is another panel to control your seat: EVA Air offers lie-flat seats in their Royal Laurel Class which can be converted into full beds. On the other side is a small button to raise your armrest on the other side (hard to find if you don’t know). As I already mentioned in my review of Cathay Pacific’s Business Class: I personally really enjoy seats in a 1-2-1 reverse heringbone configuration, as they offer a great amount of personal space and privacy – especially for solo travellers. 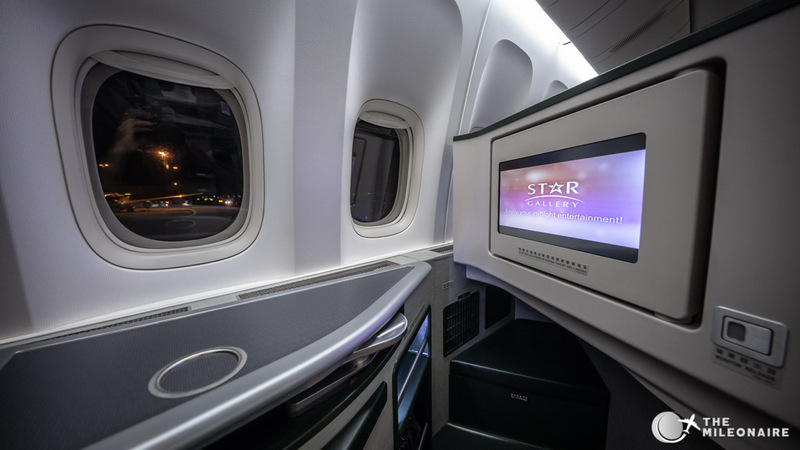 EVA Air’s hard product in the Royal Laurel Class is definitely worthy of their five star rating. 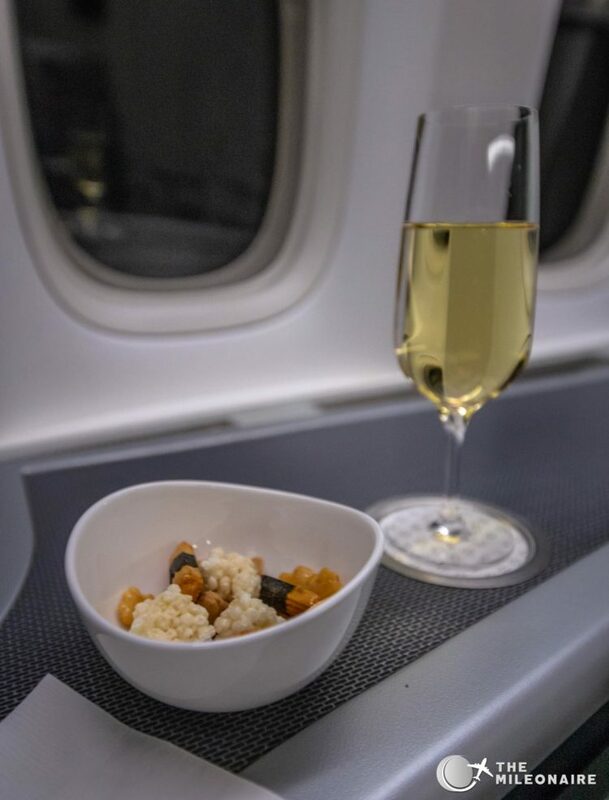 After taking my window seat the service started on the ground with a glass of champagne and a hot towel, served on a small plate. 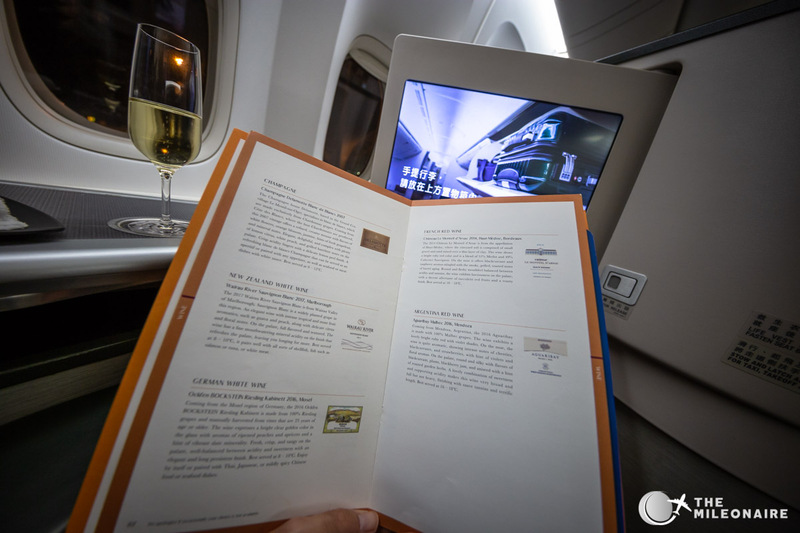 EVA Air serves Delamotte Blanc de Blancs as their champagne on board, but I didn’t really enjoy it. 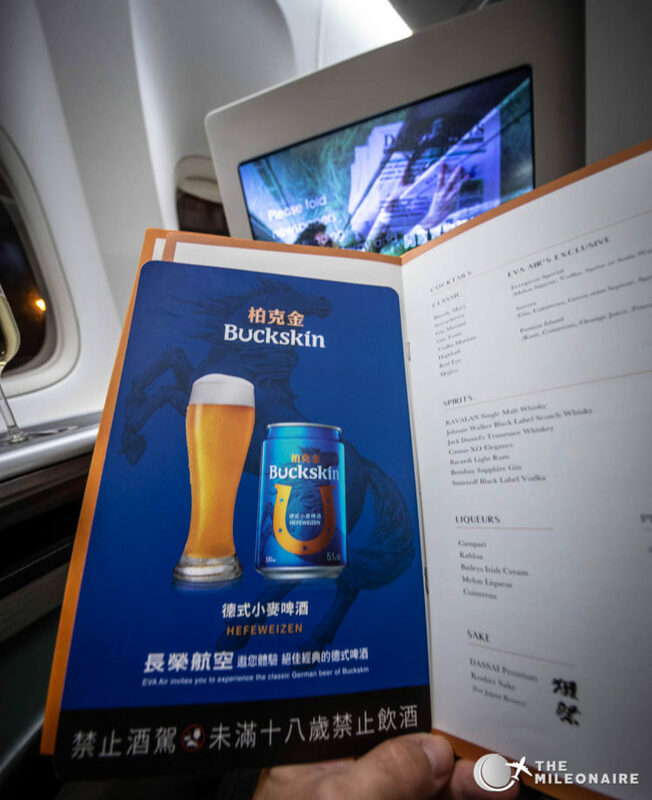 It might be due to personal taste, but there are clearly better choices for me up in the air. The dinner service started immediately with some warm nuts and another round of champagne. The main dish was tasty as well, with juicy prawns. I do think EVA Air’s presentation could be improved: similar to Cathay Pacific (yes, again), every dish is just put into a bowl and then heated in the oven. 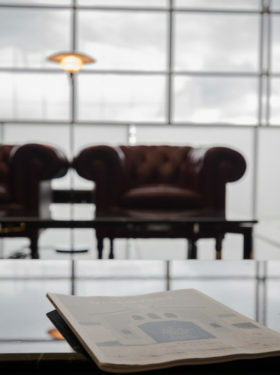 With some added creativity the whole presentation could be on a different level and generate a bigger ‘wow effect’. At least the service was fast, and the crew was super friendly and attentive. I skipped the dessert and transformed my seat into a bed. 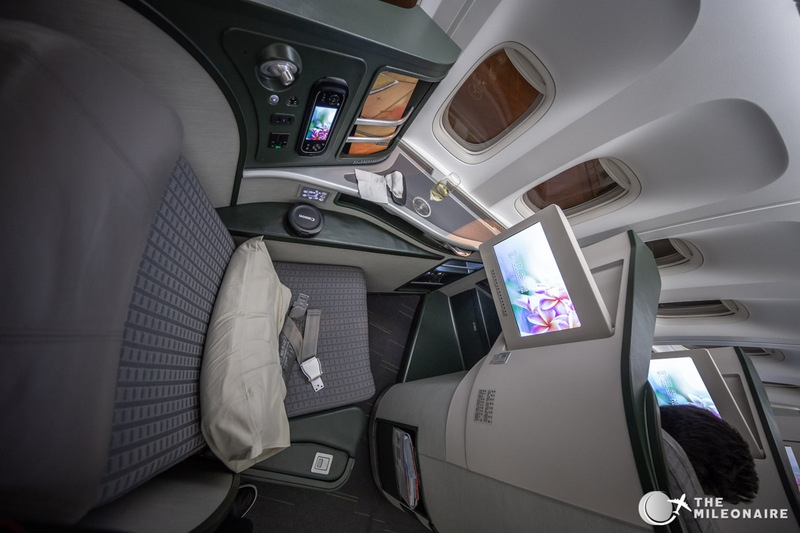 As mentioned before, EVA Air’s Royal Laurel Class offers full lie-flat seats in the 777s. After an hour I got up again, as we were already approaching Taipei (flight time on that segment is just 3 hours). I ordered a fresh orange juice (hmmm!) 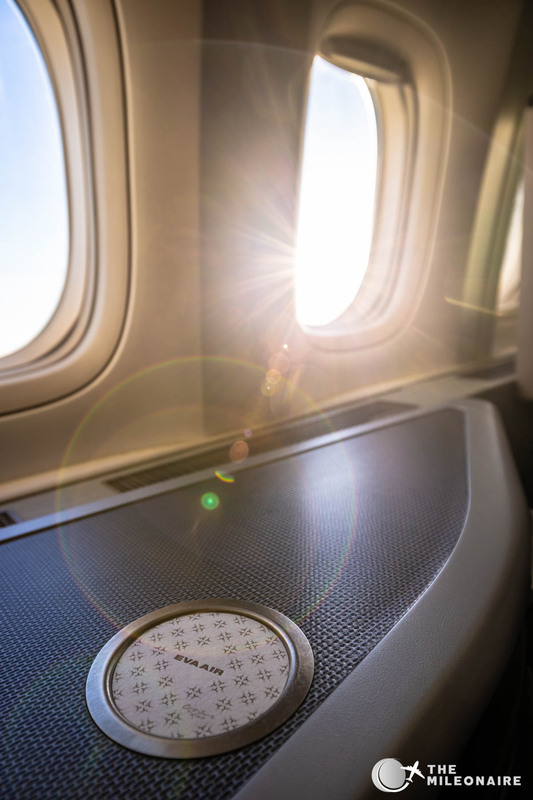 and the morning sun was coming up on my side of the plane. What a beautiful moment! 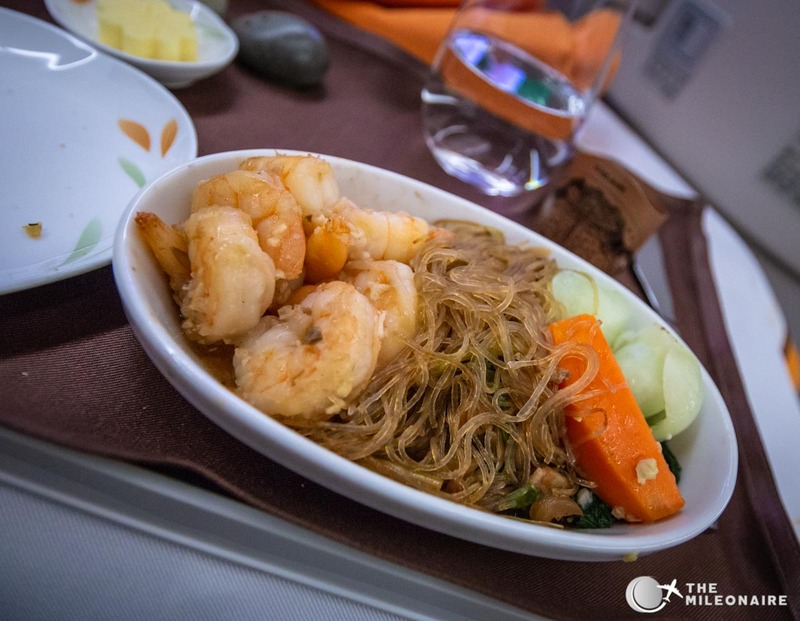 We landed early in the morning in Taiwan, and a wonderful flight with the EVA Air Royal Laurel Class came to an end. 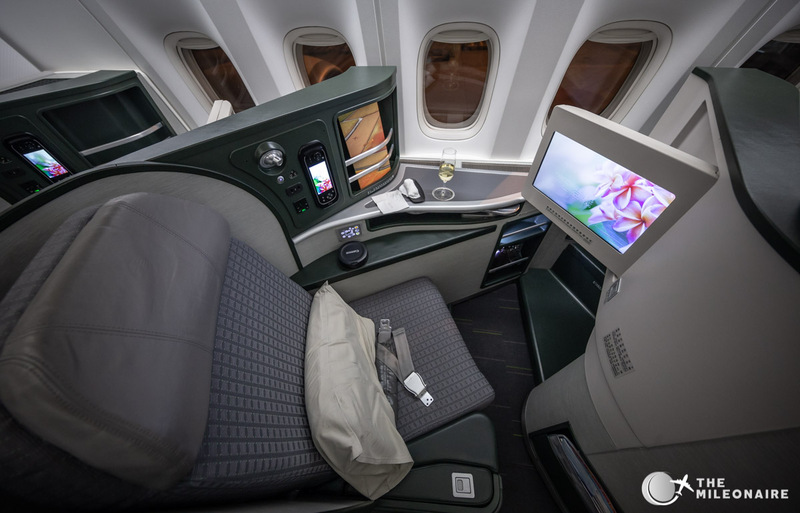 While in a lot of parts of the world a 3-hour regional business class flight is more like an economy experience, EVA Air’s Royal Laurel Class is something different: a ‘real’ business class with a full lie-flat seat, tons of privacy and good catering – what more can you wish for? 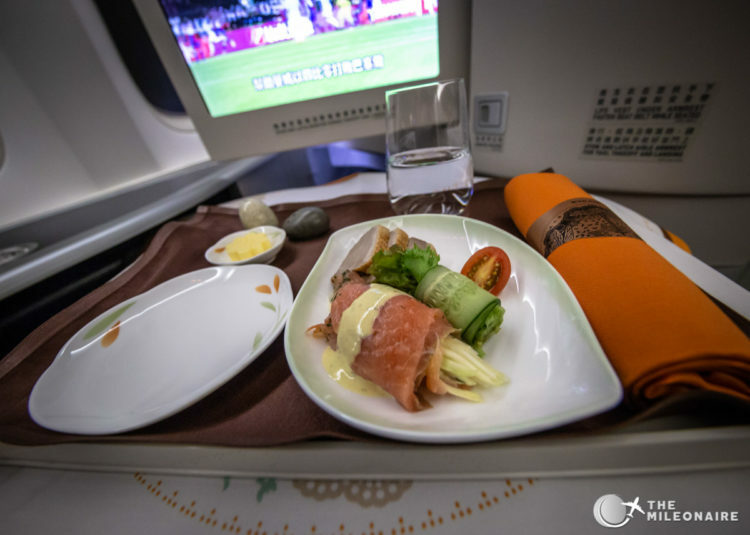 If you have the chance (and the necessary financial resources), you should definitely try out the EVA Air Royal Laurel Class. 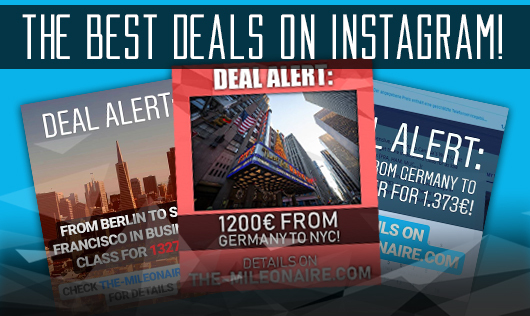 Just make sure your flight is operated by a Boeing 777!